For the fifth season in a row, I’m making predictions (you should too) as to how I feel each Major League Baseball team will fare throughout the coming season. Although I haven’t come close yet to predicting the exact finishing order of each division (I picked the Mets to finish fourth in 2015 and they made it to the World Series), it’s a new year, and with it comes a new chance to luck out and get everything right. The Mets proved to the baseball world last season that they are a team that is finally ready to win. In the past, there had been a lot of talk surrounding the Mets that each season would finally be their year, but things inevitably fell through for them in the end. In 2015, however, they finally emerged, with Matt Harvey, Noah Syndergaard and Jacob deGrom leading the charge and setting the tone each and every night. I expect them to have even better seasons individually this year, and with it will come more success as a whole. But although their pitching rivals that of any other squad in baseball, it’s their combination of good pitching and good offense that will seal the division title for them. Resigning Yoenis Cespedes was their biggest retention of the offseason, as he, along with veterans Curtis Granderson and David Wright, will assuredly be more than enough to push them past their rival Natinoals. If the Nationals had signed Yoenis Cespedes as was reportedly attempted this offseason, I would have them in much better shape. Even so, I still feel a second place finish and possible Wild Card spot isn’t out of the question. Although their offense is likely going to be better this season, with a fully healthy Anthony Rendon and Ryan Zimmerman looking to slug along side of 2015 National League MVP Bryce Harper, I don’t see it as being good enough to hold off a good Mets’ pitching staff for first place. After all, the Nats seemingly had everything in place in 2015, as the signings of big time pitcher Max Scherzer made them immediate favorites. But a lot went wrong for Washington last season, making it hard to predict for sure how they will fare this time around. To me, Stephen Strasburg needs to finally have his superstar breakout season in order for the Nationals to have any shot at overthrowing the division favorite Mets. A healthy Marlins team has proven in the past that they can compete with any team in baseball. However, I don’t feel confident that they have all the pieces it takes to place any higher than third in a division that has the Mets and Nationals fighting for the first place slot. What makes it so difficult is the fact that beyond Jose Fernandez, who looks ready to return back from missing most of 2015 due to Tommy John surgery, the Marlins don’t have any other pitchers who can absolutely dominate an opposing teams lineup. Furthermore, beyond Giancarlo Stanton, who really needs to have a fully healthy season in order to contribute monster numbers to his club, Miami isn’t all that loaded in the offensive side of things. Justin Bour had a nice breakout year for them in 2015, and Dee Gordon has emerged as one of the game’s best hitting second basemen, but I don’t see this Miami club as being capable of any sort of special year. With sights set on 2017, when they will officially move from Turner Field to a brand new ballpark across town, the Braves are likely headed for another disappointing year. Getting rid of Shelby Miller (even though it brought back number one overall pick Dansby Swanson) was a huge mistake in my opinion, as it drastically weakens what was already a poor rotation. Beyond Julio Teheran at the top, and Matt Wisler, who is poised for a breakout year, the Braves don’t really have all that much to throw at opposing teams. Additionally, their lineup has a few key pieces to it, such as Freddie Freeman, Michael Bourn and Nick Markakis, but those guys likely won’t be able to carry the team on their own. In my mind, for a Braves team that hasn’t been the same offensively since losing Justin Upton to the Padres (he’s now with the Tigers), the best thing they can do is hope for better things when they relocate in 2017. When you look at the talent the Phillies have coming fast in their minor league system, it would appear that this will be the final year of what has turned into a drastic rebuilding process for the Phillies. After winning division title after division title, Philadelphia has been a shell of its former power house club in recent years. Ryan Howard is entering the last year of his contract with the Phillies, but I’m not expect a tremendous amount from him, as he hasn’t been able to perform on the superstar level he once did. Beyond Howard, the only other player in the Phillies lineup who I could see having an above average year is Maikel Franco, who was great last season. Their rotation isn’t much better, as they have a few nice pieces, but nothing overly dominant. Even so, their farm system is loaded with impact players knocking on the door to Philadelphia. Therefore, as I’m viewing it, this could be the last disappointing year for quite awhile. The National League Central division appears to have all the makings of a classic division rivalry between the top three finishers, but I have the Cubs really breaking through in 2016. They were able to make it into the playoffs last season, but were eliminated before they could make any major run towards breaking their World Series drought. But the offseason addition of John Lackey to go along with Jake Arrieta and Jon Lester in a relatively strong rotation put them as frontrunners. Their lineup was good last season, but I think they’ll break through even further in the coming year. Adding Jason Heyward to their outfield will inevitably improve their club, and rookies from a year ago, Kris Bryant, Kyle Schwarber and Addison Russell should build upon their 2015 years to form what looks to be a division title club. If all goes as planned, this could be the year the Cubs make it deep into the postseason, and maybe even the World Series. While I have the Cubs finishing in first place, the Cardinals are certainly not going to go down without a fight, and will give Chicago a true run for their money. With Yadier Molina returning from a season in which he missed most of due to injury, he should help both their offense and pitching staffs improve. Beyond him, Jhonny Peralta and Matt Holiday are looking to post solid numbers once again, with Stephen Piscotty, Kolten Wong and Matt Carpenter figuring to have large contributions as well. Moreover, the Cardinals pitching staff should be tremendous, if Adam Wainwright can pitch the way he’s capable of, along with Michael Wacha and Lance Lynn. Also having a lock down closer in Trevor Rosenthal to come in for the ninth inning, if St. Louis can see their starters having good outings night after night, they could rack up a lot of wins when all is said and done this season. The Pirates are going to finish in a close third place in my mind. While they have an All-Star closer in Mark Melancon, much as the Carinals do in Rosenthal, Pittsburgh simply doesn’t have the top notch pitching staff I feel they need to find themselves forcing the Carinals and Cubs to sweat. Beyond Gerrit Cole, who is sure to have another star season, the Pirates top options of Jeff Lock and Francisco Liriano are too inconsistent for me to feel they will have that big of an impact. Their lineup is fairly solid, with Jung Ho Kang and Josh Harrison, as well as an outfield of Andrew McCutchen, Gregory Polanco and Starling Marte, but the rest of their lineup isn’t all that dominant. But athough they likely won’t be able to hold off the powerful Cubs and Cardinals, the Pirates have a ton of talent in the high minors who should be helping very soon. With that in mind, they could see a big jump in wins starting as soon as 2017, if not late this year. I originally had the Reds coming in last in the National League Central division, but upon closer inspection of their roster, I moved them up to fourth. Even so, it is looking like it will turn out to be another rough season in Cincinnati. Although their lineup isn’t exactly terrible, possessing guys such as Brandon Phillips, Joey Votto and Jay Bruce, it isn’t great, either. The Reds will go on solid runs at time, as virtually every club winds up doing, but I have a hard time picturing them sustaining anything. On the pitching side of their club, the loss of Aroldis Chapman to the Yankees will no doubt hurt their bullpen, where they don’t have too much depth. Surprisingly, however, their strongest suit may turn out to be their rotation. If given a chance, I think Robert Stephenson could be a big impact pitcher for them, along with Homer Bailey, Brandon Finnegan and Michael Lorenzen giving a little spark to the Reds coming poor year. Both the lineup and pitching staff of the Brewers can be summed up in four words: good, but not great. Their entire team is made up of guys who have been good (or even really good) at one point or another, but have also been very inconsistent. Ryan Braun in hands down their best and most impactful player, and with the exception of Scooter Gennett, Chris Carter and Jonathan Lucroy, Braun is really the only above average player on the squad. Wily Peralta, Matt Garza and Jimmy Nelson have each had great outings as part of the Brewers’ rotation, but they all also hold a lot of uncertainty heading into this season as to how they will actually fare. While there may be a few bright spots throughout the year in which certain players go on a hot streak that subsequently help propel Milwaukee forward, I don’t see anyway they make any major postseason push. There doesn’t appear to be much to be excited about for 2016. My predictions for the National League West nearly saw me placing the Diamondbacks in this slot, with the Giants finishing in second place. But I can’t ignore the fact that San Francisco’s lineup is better overall than that in Phoenix. Lead by the offense of Buster Posey, the Giants also have several more very impact bats such as that of Hunter Pence, Brandon Belt, Matt Duffy and Brandon Crawford. But what really gives the Giants the slightest of edges over the D-backs is their pitching staff, which is truly solid. 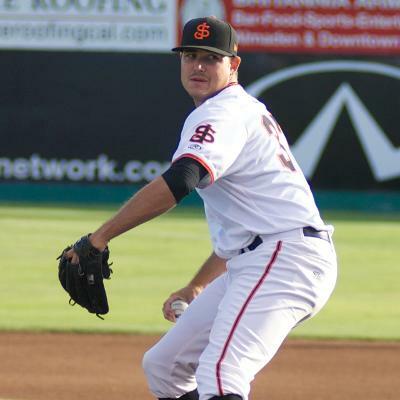 The pickups of Johnny Cueto and Jeff Samardzija should help them to perform well, as they already had star hurler Madinson Bumgarner, Matt Cain and Chris Heston. Though you never can fully predict where a team will fall at the end of any given season, I feel fairly confident that the Giants will be able to hold off the Diamondbacks and come out on top if they can perform the way that they are capable of. I’m fully on board the Diamondbacks’ bandwagon, but it’s not just because a lot of people around the baseball world are believing in them heading into 2016. Picking up both Zack Greinke, who had a historic season last year, as well as Shelby Miller, will go along way in helping the D-back’s rotation that already included star Patrick Corbin, among others. Their bullpen is good as well, with guys such as Brad Ziegler and newcomer Tyler Clippard set to shut things down in the late innings. Offensively, the D-backs aren’t going to score tons of runs every night, but they still possess quite a bit of pop. Guys like Paul Goldschmidt, A.J. Pollock, David Peralta and Yasmani Tomas should be able to lead this club to a lot of victories if everything holds up on the pitching side. All things considered, it should wind up being a far more successful year in the desert than what they saw just a year ago. While the Dodgers still have the best pitcher in baseball in Clayton Keshaw, who you can more than count on to post Cy Young caliber numbers once again, the remainder of their rotation is somewhat questionable. Losing Zack Greinke to the Diamondbacks this past off season will likely turn out to be a big blow to an already subpar Dodgers pitching staff, as Greinke was absolutely amazing in 2015. Los Angeles’s lineup is fairly decent, with sluggers Yasiel Puig, Joc Pederson and Adrian Gonzalez still ready to impact ballgames, as well as Rookie of the Year favorite Corey Seager also set to make his talents more widely known. However, I’m just not fully convinced that the Dodgers will be good enough to fare any better than the middle of the pack in the West. They have too many holes in their overall team for me to think that they have any shot of reaching the postseason in the coming year. The Padres were the story of the 2014 offseason, as their general manager, A.J. Preller, made some amazing moves that brought a ton of talent to San Diego and made a lot of people believe in the Padres for 2015. But things simply didn’t go as planned. This season, expectations aren’t nearly as high, with a fourth place finish predicted from me. They lost dominant closer, Craig Kimbrel, to the Red Sox this offseason, and that will inevitably hurt in the long run. In their actual rotation, they still have a solid three of James Shields, Tyson Ross and Andrew Cashner, but they won’t be enough to maintain a season long winning streak. Other than Matt Kemp and an injury-plagued Wil Myers, the Padres don’t really have a lot of thump in their lineup that will be able to offset their lack of pitching, either. For that reason, the ultimate highlight of the year in San Diego will likely be them hosting the All-Star game in July. Finishing under .500 every season since 2011, the Rockies aren’t looking to fare much better in the coming year. Although they play 81 games in a ballpark where offense is given a definitive edge, as the ball really flies in the mile high city of Denver, the Rockies truly don’t have a lot of big power bats to tap into the thin air. Beyond Carlos Gonzalez and Nolan Arenado, who should both put up monster numbers yet again, Denver merely has some solid players in the form of guys like DJ LeMahieu, Ben Paulsen and Charlie Blackmon. Although they are each good players, I don’t see it doing a whole lot of good, especially without a dominant pitching staff. Other than recently high-ranked prospects Jon Gray and Eddie Butler, who have been hit and miss to this point in their careers, the Rockies don’t have any true power hurlers who they can count on to post big outings each night. Thus, I don’t see Denver going much of anywhere in 2016. 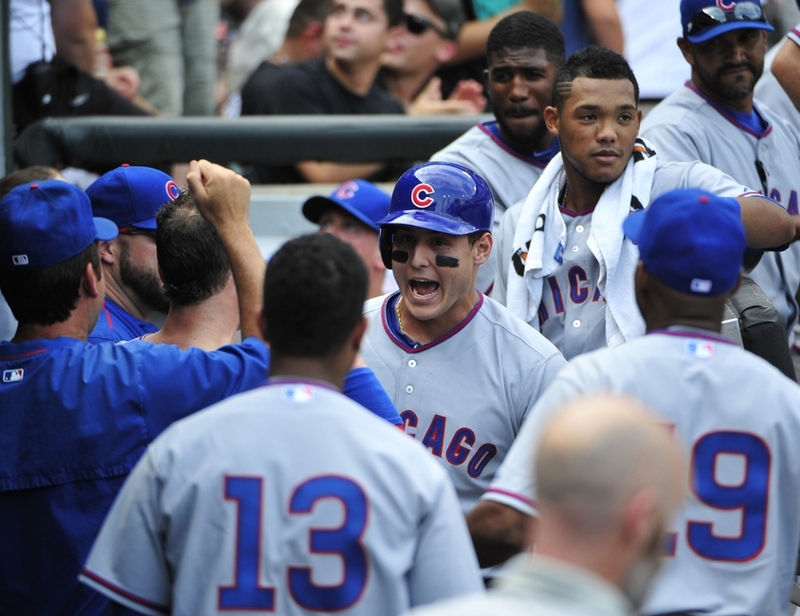 Heading into Friday, the Cubs were a mere one game from clinching a playoff berth. Either a win by the Cubs or a Giants loss would mean October baseball for the Cubs for the first time since back in 2008. However, it appeared that things may have to wait for another day after the Cubs lost to the Pirates 3-2 in the afternoon’s game. With the loss, attention swung to Oakland, where the Giants were playing that night. If the A’s could pick up the win, the Giants would be eliminated from Wild Card contention, and the Cubs would become the fifth team to clinch a playoff spot. The Giants would end up come through for the Cubs, losing to Oakland, and being knocked out of the running. Now that the Cubs have officially made the playoffs, it allows baseball fans from all over to set their sights on perhaps bigger things in Chicago. It’s common knowledge for any follower of the game that the Cubs haven’t won the World Series since 1908, having not even reached the Fall Classic since all the way back in 1945. To say fans in Chicago have been waiting for a World Series appearance for awhile would be a vast understatement. But with the Cubs making the postseason, there officially begins to arise a bit of hope. Perhaps — maybe, just maybe — this is finally the year the Cubs break the longest World Series drought in baseball history and finally go the distance. However, they face a tough road to even reach the final seven game series. Friday’s game against the Pirates was likely a preview of the Wild Card game set to take place on October 7th, assuming the Cardinals can hold onto their three game lead over the Pirates. But if Friday’s game was any indication, the Cubs will have to be on top of their game to advance to the Divisional Series. One of the upsides for the Cubs is that they will likely have Jake Arrieta on the mound against Gerrit Cole, instead of Jon Lester as they had on Friday. While Lester is a terrific pitcher, Arrieta has had an unbelievable season and will likely give the Cubs their best shot at advancing. 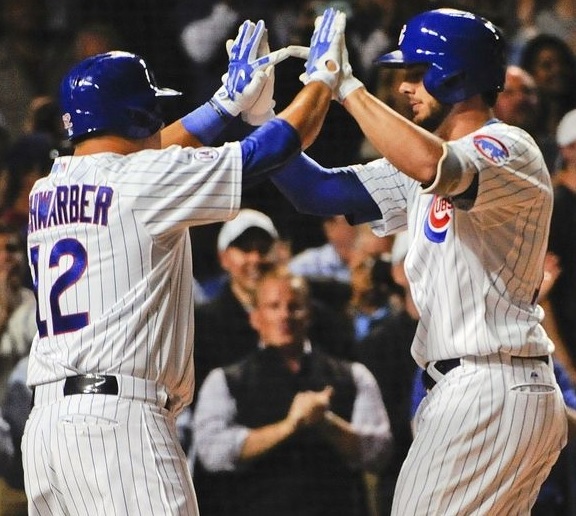 The Cubs certainly have a good enough lineup to compete with any team they may encounter. With Kris Bryant, Kyle Schwarber and Anthony Rizzo, among many other young stars and veteran players, run scoring shouldn’t be a problem for the most part. On the flip side, while their pitching isn’t terrible by any means, it’s also not that dominant either. Past Jon Lester and Jake Arrieta, their rotation falls off a little bit, but they are each more than capable of picking up a win, especially with the lineup they have to score runs. In the long run, the Cubs may find they can’t compete with other teams’ pitching staffs, but I feel they will at least make it past the win or go home Wild Card game. As history has shown, once a team reaches the first five game playoff series, pretty much anything can happen. While on paper the other teams around baseball would appear to have an advantage, October baseball has a way of throwing stats out the window. After all, the Cubs were supposed to still be “a few years away” from contention. They’ve already proved a lot of people wrong by breaking those odds. This may turn out to be a historical year when all is said and done.